A truly artisan Cearphilly with a creamy outer layer and a fresh crumbly centre. 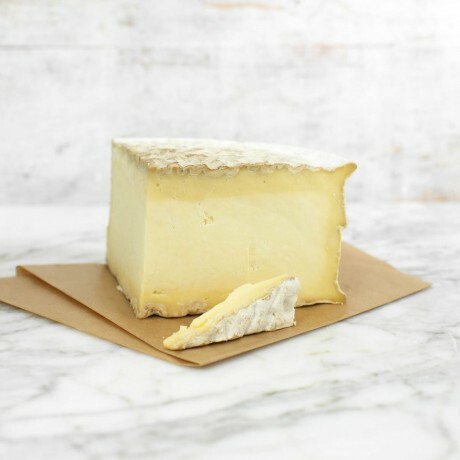 This cheese is a perfect example of this Welsh classic, with a natural edible rind, a rich and creamy outer layer, crumbly centre, citrusy flavours and a subtle lactic tang. Gorrwydd Cearphilly was originally made at Todd Threthowans family farm Gorwydd in the foothills of the Cambrian Mountains in West Wales using a traditional reciepe with unpasteurised cows milk and animal rennet. Production moved to Somerset to get the perfect supply of milk, but the reciepe and method of production remains the same. Available in various sizes, simply choose using the option available. Brilliant product brought for a present. I just tried the sticky toffee cheese with my family. I just tried the sticky toffee cheese with my family. It was absolutely delicious and I will definitely order again. I had some doubts that it might be too sweet, but it wasn't at all. It was full of flavours, a lovely rich texture, delicious and creamy. Highly recommended. Charcuterie perfection. The venison chilli chorizo is divine with scrambled eggs, fried mushrooms & asparagus (with the sumptuous oak smoked butter they sell too! ), on toasted sour dough. The wagyu Cecina is to die for! Would 100% recommend to everyone. Thanks for the party happening in my mouth!! Specialist retailers of Artisan British Charcuterie, British Cheese and English wines.